(Bloomberg) -- The culmination of the Mueller report saga has been good for Fox News. The network has long sat atop the cable-news landscape, but the outcome of the Mueller investigation -- hailed as vindication by President Donald Trump -- has given an extra boost to the right-leaning outlet. 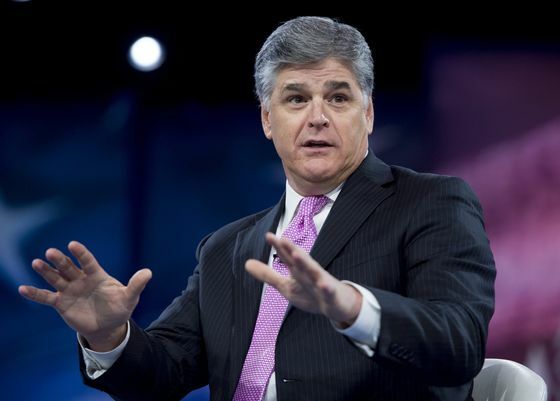 On Tuesday night, Sean Hannity’s show drew 3.6 million viewers, including 589,000 in the 25-to-54 demographic coveted by advertisers, according to Nielsen ratings supplied by Fox. That was a 31 percent increase among younger viewers from the same night a week before. MSNBC’s Rachel Maddow, meanwhile, suffered a 29 percent drop among that demographic. On Wednesday night, “Hannity,” “Tucker Carlson Tonight” and “The Ingraham Angle” all beat their counterparts at CNN and MSNBC in total viewers and the younger demographic. Hannity benefited from a lengthy interview that night with Trump. In February, Hannity and Maddow finished neck and neck in the ratings. For months, Maddow had focused her show on whether Trump colluded with Russia -- so much so that the Washington Post this week nicknamed her “the queen of collusion.” She’s faced criticism in the wake of Mueller not finding that Trump worked with Russia to affect the outcome of the 2016 election. If this week’s ratings trend holds, MSNBC and CNN may need to find other topics to focus on to keep viewers engaged.